People may not be always watching ads on TV or driving by a billboard on a highway, but there is one thing that almost everyone is constantly doing: being connected to and engaging with social media. No matter what they’re doing, their laptops and especially their phones are with them. For this reason, social media marketing is your business’ opportunity to increase your online presence and grow your brand.The whole marketing landscape has transformed with the advancement of social media so if your business isn’t making the most of it, you do not have a chance when competing with other companies, you will fall far behind. In 2014, 92% of marketers said that marketing through social media was significant for their business and 80% of them noted that doing so increased traffic to their company’s site (Hubspot.com). 97% of marketers are using social media but the majority are not certain about which social media tools they should use (Social Media Examiner). This means you have the opportunity to excel high above them in the social media world. More than half of Americans who follow businesses’ social media pages are more loyal to that business (Convince & Convert). Many studies have shown that customers appreciate businesses that take the time to respond to customer’s issues and complaints. 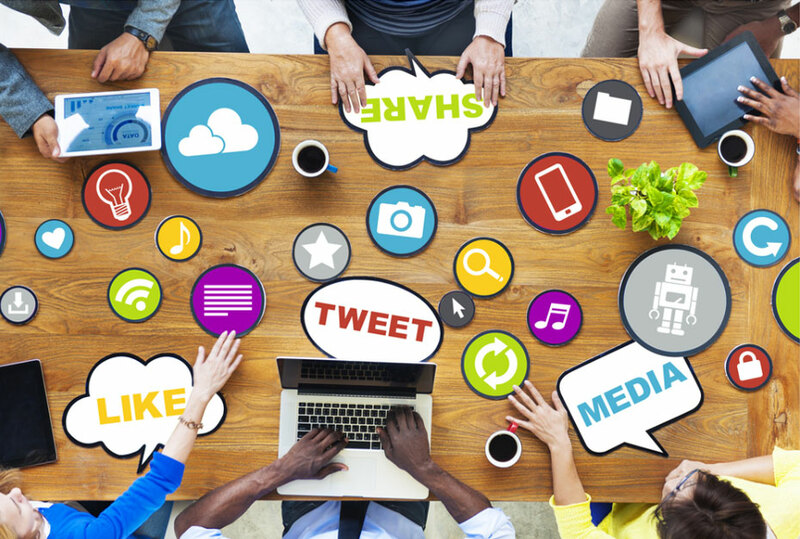 91% of companies are using at least two social media platforms (adweek.com). Social media is a means for you to share your business’ content and voice. You have a higher chance of a user stumbling upon your business, and this way they will remember your company. Over time they will get more acquainted to your company and will be more likely to use your services as opposed to a business they’ve never heard of. With the internet at everyone’s fingertips, people are beginning to conduct their own research about a company before buying from or doing any business with them. You can use this to your advantage – by having a strong social media presence people will trust your company more. This is what makes social media marketing unique from all forms of marketing. While website and TV ads and commercials are all one-sided, social media allows you to talk and listen to your customers one-on-one. Positive engagement will lead to an improved reputation and customer loyalty. The brand becomes less of a business entity and takes on a more personal role. Your customer will feel like they have your attention and have a voice. When your company is engaging with customers one-on-one on social media, your brand will feel less like a corporate entity and more like a personable group of people with a common goal: providing their best to their consumers. Social media engagement allows you, as a brand, to learn more about your customer base: demographics, their likes and dislikes, etc. When you build a following with social media, you have the chance to connect with their followers and friends and then their connections and so forth. Social media generates word of mouth greatly. Customers will appreciate and become more loyal to your business when their problems are acknowledged and addressed in a quicker manner, instead of just having to e-mail a company’s support e-mail address and waiting a few business days for a reply. The great thing about social media marketing is the ability to customize and adjust your target audience. You can create different ads and various types of engagement depending on who your service or product is targeted towards. You can target based on demographics, interests, behaviors and more. This means you will only advertise to people who you know are interested in what you have to sell! Efficient social media targeting makes your ads a lot more specific towards the group of people you want, ultimately becoming more efficient and successful than any other form of current advertising. We have a specialized team of social media optimizers and marketers to optimize your business on popular social media networking sites like Facebook, Google+ and Twitter. First and foremost, we build social recognition for you by creating a well designed business page. We develop attractive content and post regularly in order to increase your presence and catch the eyes of your target audience. The next step is to promote your services/products and create buzz on your social media accounts. Our social media experts are quite potent at that. We are constantly spending time researching the latest trends in social media and your industry specifically to ensure we are always executing the best strategy for the success of your business. Our social media optimizers are completely updated with the trends of the current digital market and we provide services accordingly.